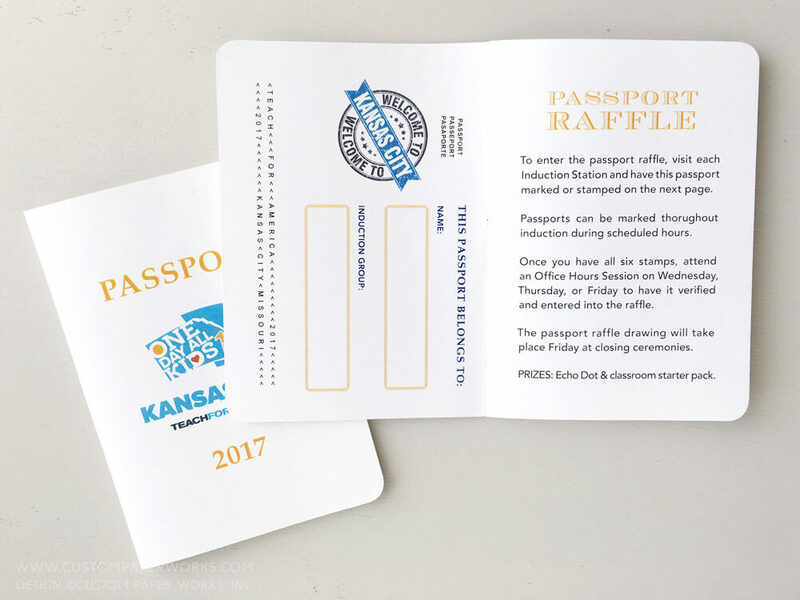 Passport raffles are a fun way to encourage visitors to make a stop at informational booths at conferences and events. 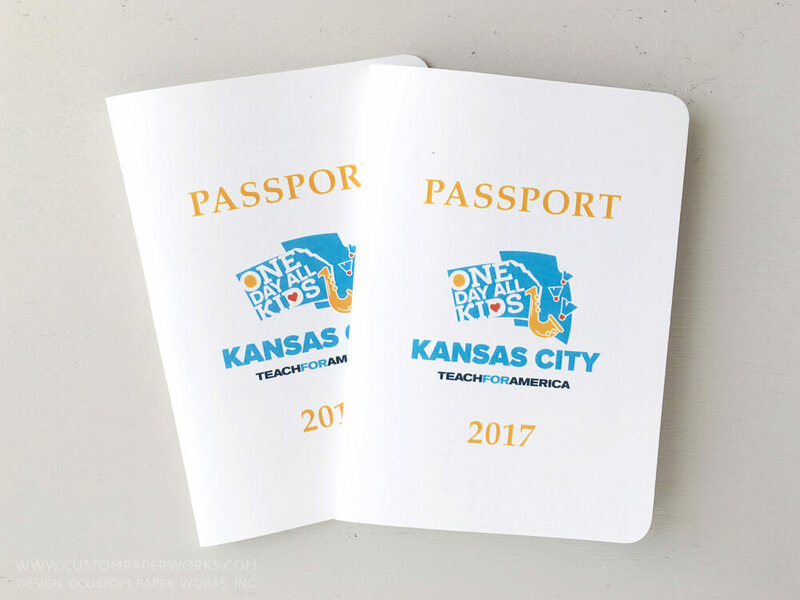 This passport raffle booklet was designed for a Teach America event in Kansas City. Booklets are stamped when an attendee has stopped at each individual table and gathered the required information. Once the stamps have been gathered, the attendee turns the booklet in and receives an entry into a drawing for prizes. Custom Paper Works can design your event passport from scratch. It’s a perfect option for small and mid-size businesses who don’t already have a graphic designer or ad agency at hand. 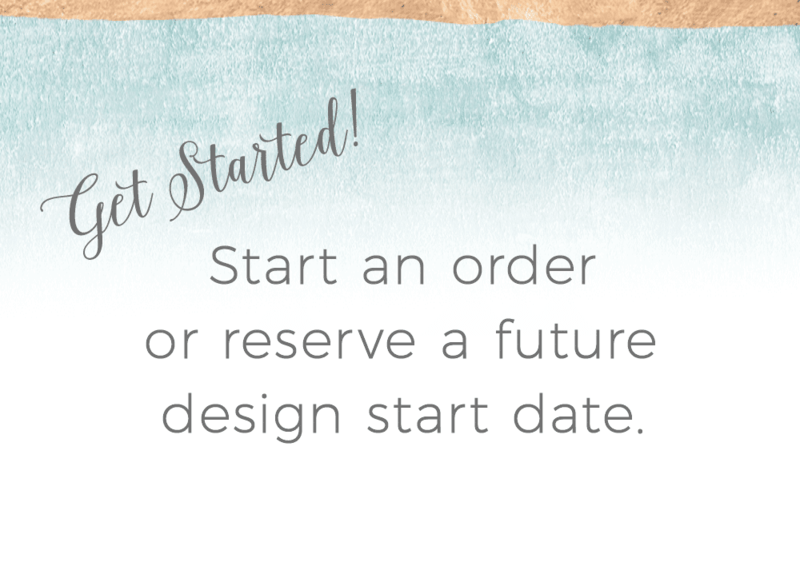 All that is needed is your general ideas – a “wish list” of sorts – and any specific logo files and images you want to include. 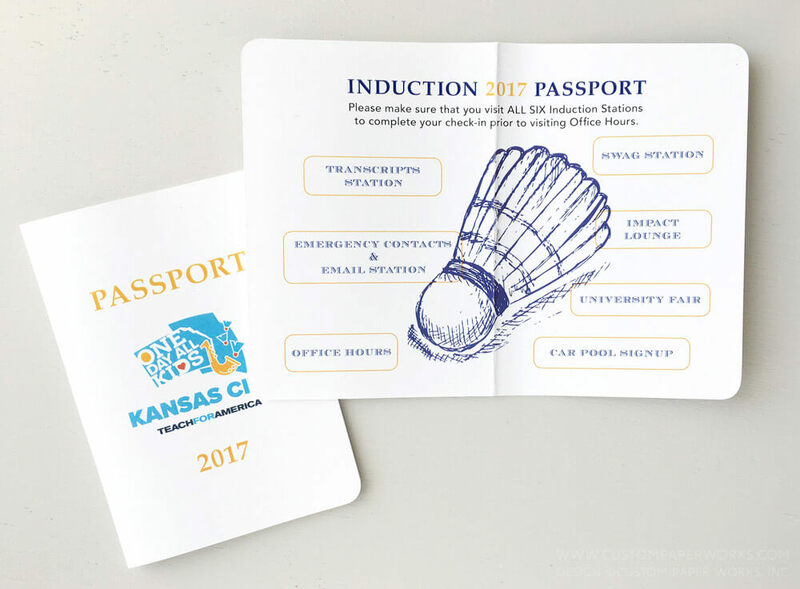 Your conference passport will be professionally designed, and you will see digital proofs throughout the process. Of course, if you happen to have your own graphic designer or ad agency, we can work with their designs too – so long as the files are submitted to the specs required for optimal printing (they are standard professional design production requirements, for the most part). One thing we don’t print is “DIY” files created in general Office Suite programs or online graphics apps that aren’t made for professional graphics printing. If you’ve created a general design in a program like that already, no worries! We can use that as a starting template and recreate it so it’s spiffied up for the presses. This conference passport was printed on all white, very matte papers that let the colorful logo stand out. A simple map was created by indicating the general position of each table. 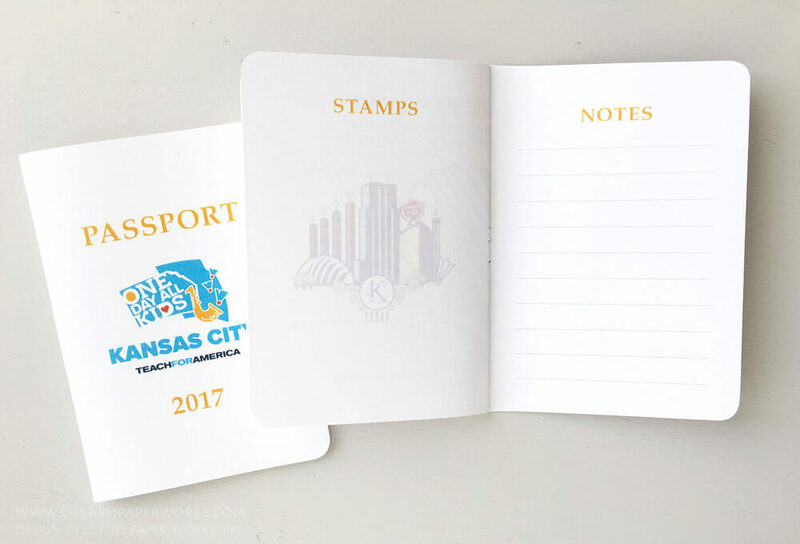 A page was left nearly blank so all the passport stamps would be placed in one spot, and the inside back cover was a great sturdy place for a notes section. 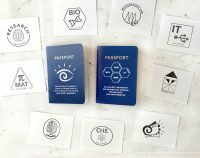 We’d love to create a Passport Raffle Book for your event. We can design it to coordinate with existing marketing materials or come up with something totally unique.